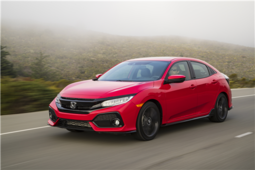 With its large cargo capacity, the 2018 Honda Civic Hatchback adds utility to the popular Civic line. 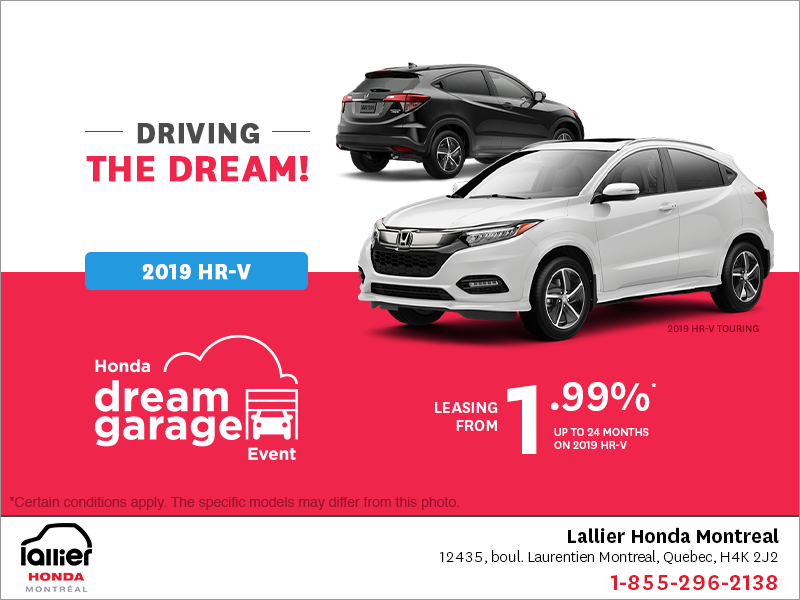 Available in LX, Sport and Sport Touring trims, the hatchback gives shoppers three ways to enjoy this budget-friendly, well-appointed ride. 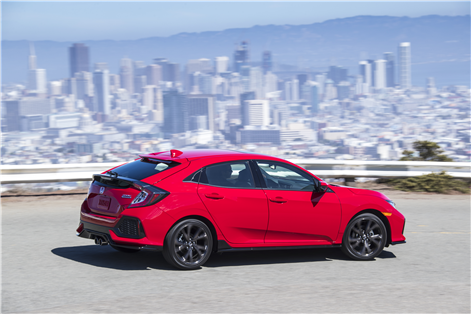 With its own shape and style, the 2018 Honda Civic Hatchback wears a roofline spoiler and aluminum-alloy wheels. The LX and Sport come with projector-type headlights, but the Sport Touring’s LED headlights greatly improve the driver's ability to see the road. Rain-sensing wipers are added to the Sport Touring edition. Recognizing moisture and responding to intensity, the wipers regulate themselves, leaving the driver to concentrate on the road ahead. 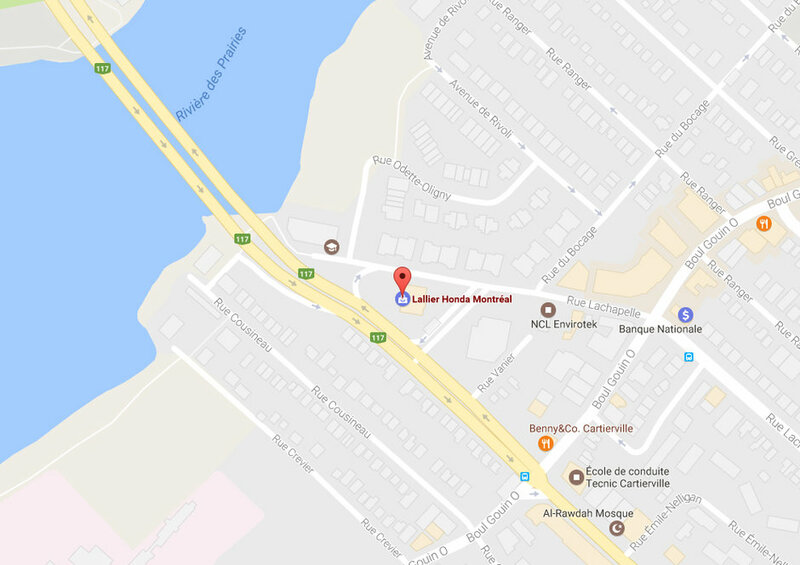 The Civic Hatchback comes with a six-speed manual transmission or an available continuously variable transmission. This automatic has an Econ mode to help reduce fuel use. The car is rated for 7.7L/100 km in city driving and 6.0L/100km in highway use and the 1.5-litre engine generates 174 horsepower and 167 lb.-ft. of torque. 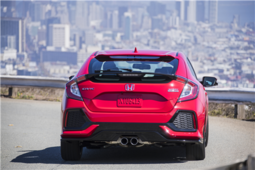 With factory engine modifications, the Sport and Sport Touring variants generate 180 horsepower and 177 lb.-ft. of torque. 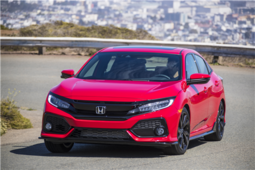 With all models, Honda includes Vehicle Stability Assist and Electronic Brake-force Distribution. The CVT models offer a variety of crash avoidance features like a forward collision warning with automatic braking as a back-up to driver action and a lane departure warning helps ensure the car doesn't wander into another car's path. Finally, a road departure system provides an assist and light braking to stop the car from leaving the road. 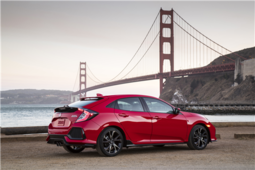 Like the Civic, the Civic Hatchback offers exceptional comfort. On the base LX trim, heated front seats and the back row with heat ducts are both standard. Sport models add security with walk-away door locks, push button start and a handy remote starter. Sport Touring models provide an eight-way power driver's seat and a four-way power passenger seat. Seats and steering wheel wear a fine leather and the rear seats are heated in that variant. All models have an infotainment center with a multi-angle rearview camera. Advanced features include HD radio, Siri Eyes Free, HondaLink, SMS texting, Apple CarPlay and Android Auto in all variants as well. The acoustic windshield helps quiet the ride. 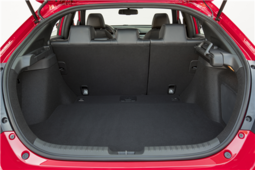 Cargo volume is generous, providing 727 litres with the seats up and 1308 litres with the seats down. The 2018 Honda Civic Hatchback comes loaded with equipment combined with a thrilling ride. 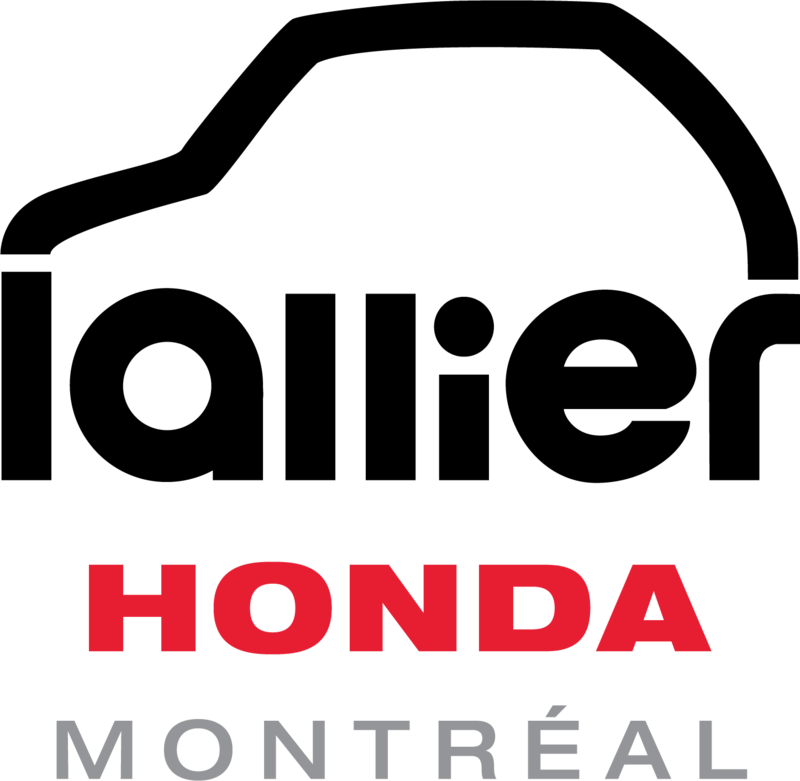 Come and see it today at Lallier Honda in Montreal and see what this top-selling compact has to offer.